11:58pm–#Derby CT–Firefighters dispatched to 166 Shagbark Drive for a water emergency, no details given. 11:42pm–#Bridgeport CT–Firefighters are at a structure fire of an abanded building at Stratford and Newfield Aveneu. 10:21pm–#Bridgeport CT–A man was beaten after a robbery at Iranistan and Hanover Street. Three male Hipspanic males all dressed in black were seen fleeing on foot down Iranistan Avenue towards Marina Village. 10:18pm–#Bridgeport CT–Police and EMS were called to Barnum Avenue for a heavy set woman in dark shirt and her belly hanging out staggering with a toddler towards Mill Hill. 9:50pm–#Bridgeport CT–Police are investigating a robbery at knife point inside the Walgreen’s at 1000 Park Avenue. Taken was lotion…..
7:37pm–#Stratford CT–Report of an oven fire at 232 Edgewood Steet. Firefighters on the way. At least they are close to Frankie’s Diner for plan B for dinner! 7:03pm–#Bridgeport CT–A man seen waving a gun in the area of East Main Street arrested and the gun recovered off Emerald Street after a brief foot pursuit. 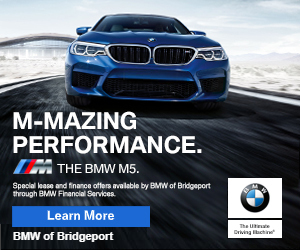 5:49pm–#Bridgeport CT– A pedestrian has been hit by a car on Madison Avenue near Salem Street. First responders on the way.